(Updated: Watch IPL 4 live streaming online ) The most awaited ICC T20 world cup for the year 2010 will start from April 30th at West Indies. This time the ICC World Twenty20 will comprise 4 groups playing 12 league matches. Playing countries include India, West Indies, England, Australia, Afghanistan, Bangladesh, Pakistan, Zimbabwe, Ireland, New Zealand and South Africa. The official broadcaster of ICC T20 world up in India is ESPN Star Cricket. However, you can watch ICC T20 world cup live online if there is a high speed broadband connection. 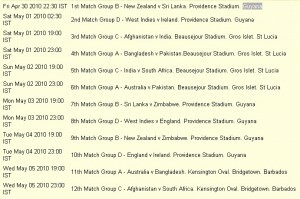 Many websites will start providing streaming links to watch ICC Twenty20 world cup 2010 live online after the inauguration of the matches at Guyana. 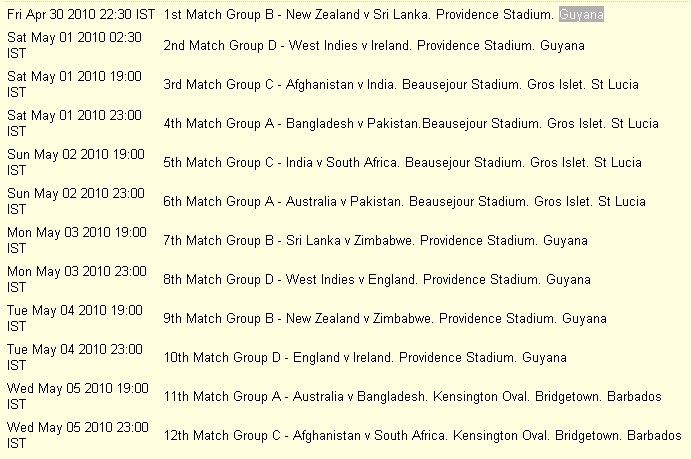 The schedule of ICC T20 world cup league matches is given below. Watch ICC T20 world cup on Willow.tv: Willow. TV is the official broadcaster of several cricket series across the world. They provide paid subscription based services to access live cricket broadcasts. Willow. 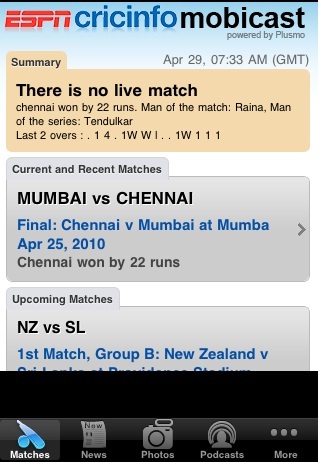 TV also provides match schedules, replays and highlights of all T20 world cup 2010 matches. Get live ICC T20 world cup updates on mobile: Cricinfo, an ESPN company provides live score updates and videos of cricket matches. Live updates of ICC T20 world cup will be available at their website on all match days. 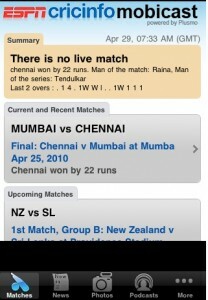 They also have mobile application called Cricinfo mobicast, which supports most of the handsets including iPhone. Users can get the live ball by ball commentary of cricket matches, schedules and score updates of all ICC T2o world cup matches using this application. Apple iPhone/iPod users can download Mobicast application from iTunes store, and others can get it from ci.plusmo.com. Extracover is a free online streaming site sharing live cricket matches. 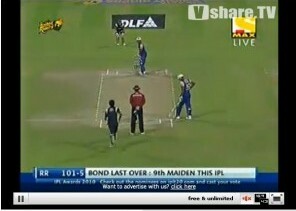 Recently, they provided live steaming of IPL 3 matches in India. We hope that they would also provide links to watch ICC T20 world cup 2010 online. Stay tuned to this page for more links to watch ICC Twenty20 (T20) world cup live online. Cricket Companion is a mobile cricket application which is a treat for cricket lovers who want to follow live matches but do not find time to do so. With Cricket Companion you can keep yourself updated with the latest scores, news and statistics with detailed scorecards and graphs display. OMG, YOU CANT EVEN WATCH IT ONLINE. India would be won the ICC world cup in 2011 its my indian dream after 1983 world cup match.